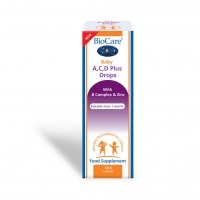 It can be hard to ensure correct diet for babies but these supplements are low dosage health supplements designed to ensure the correct balance of nutrients for babies. For growing children, The Department of Health recommends that six months to five years olds are given supplements, in the form of vitamin drops. 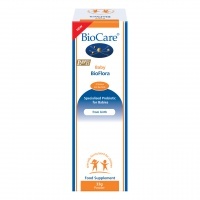 Baby BioFlora health supplement is a specialised blend of probiotics suitable from birth which encourages the growth of friendly bacteria in the intestine of the baby. Baby Vitamin D Drops provides 300iu of vitamin D3 in a palatable, pure and simple olive oil base.